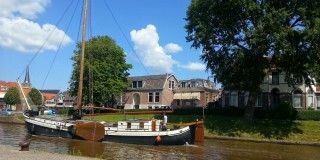 The two holiday homes on the Zuiderkade have been fully renovated. Not long ago, they were completely stripped, refurbished, and are now as good as new. 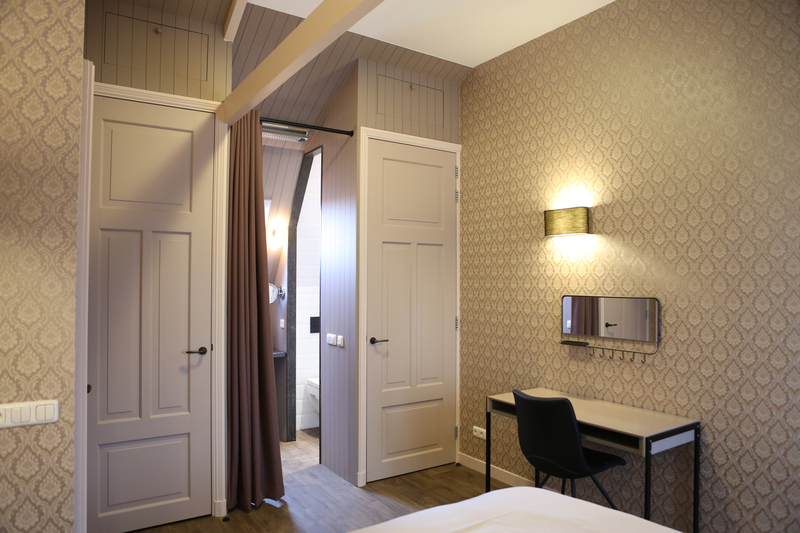 Characteristic style elements have been retained and restored and give the accommodation a special “touch”. 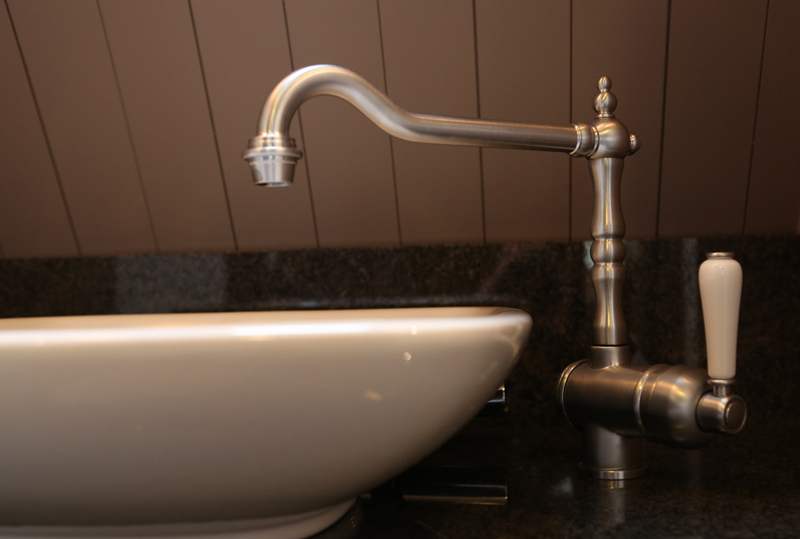 The finish is to an extremely high standard. 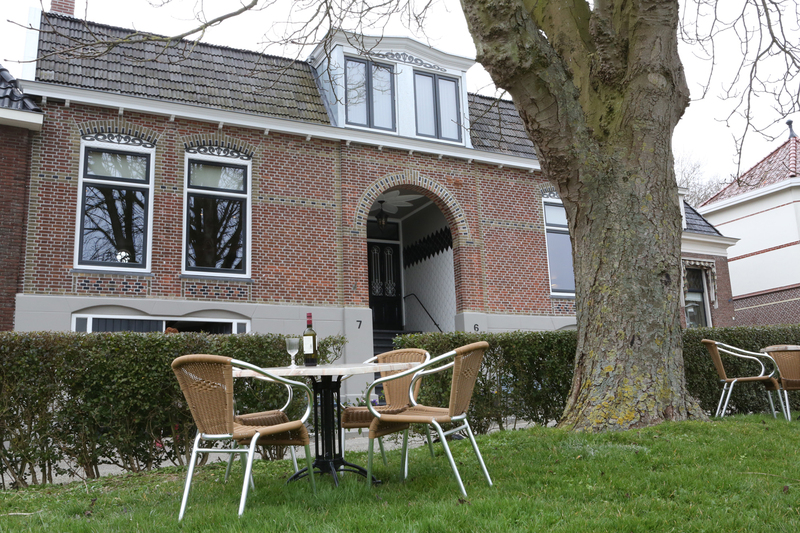 The double residence was built at the beginning of the 20th century on the remains of the old bastion on the bulwark that is still (partially) bordered by the old town centre of Franeker. 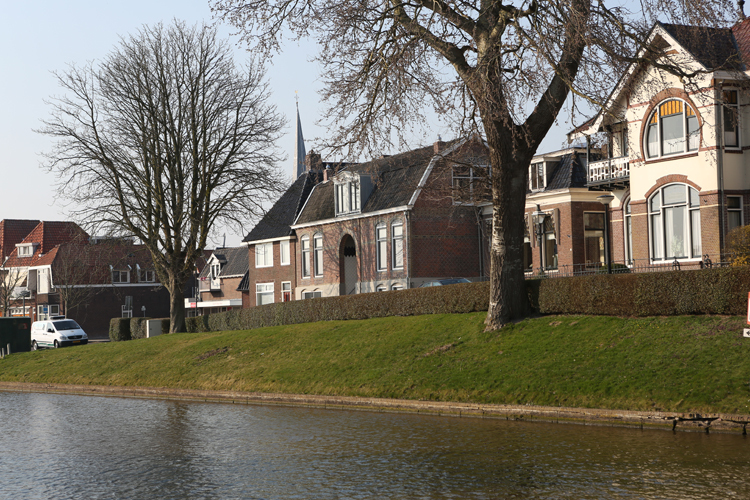 Together, the houses form an attractive property with authentic elements. 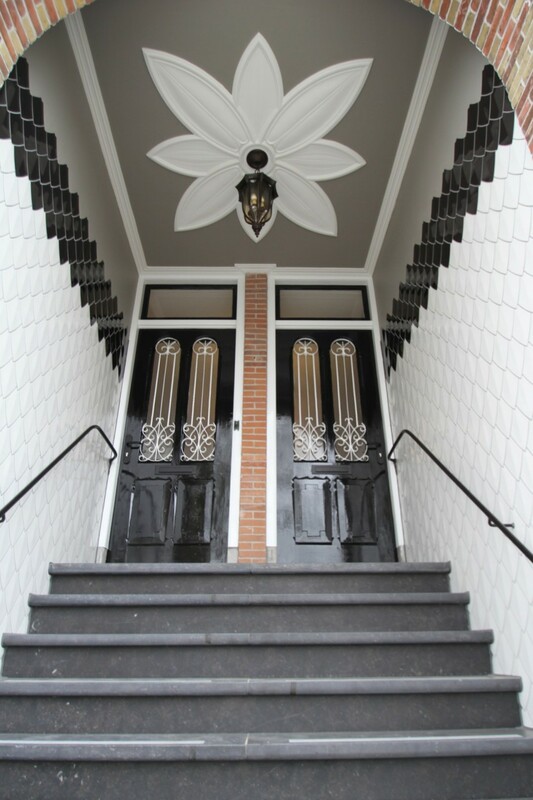 The exterior has also been completely renovated with an eye for detail. The pièce de résistance is the stunning stairhead. 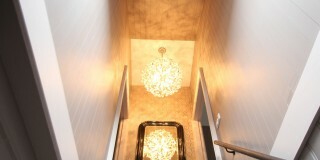 This staircase forms the entrance to both residences. 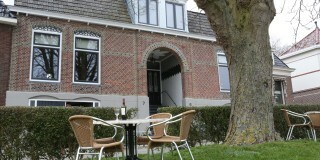 The holiday home is south-facing. 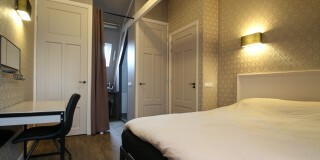 Both accommodations offer plenty of privacy and all the modern day comforts, in addition to being tastefully furnished. 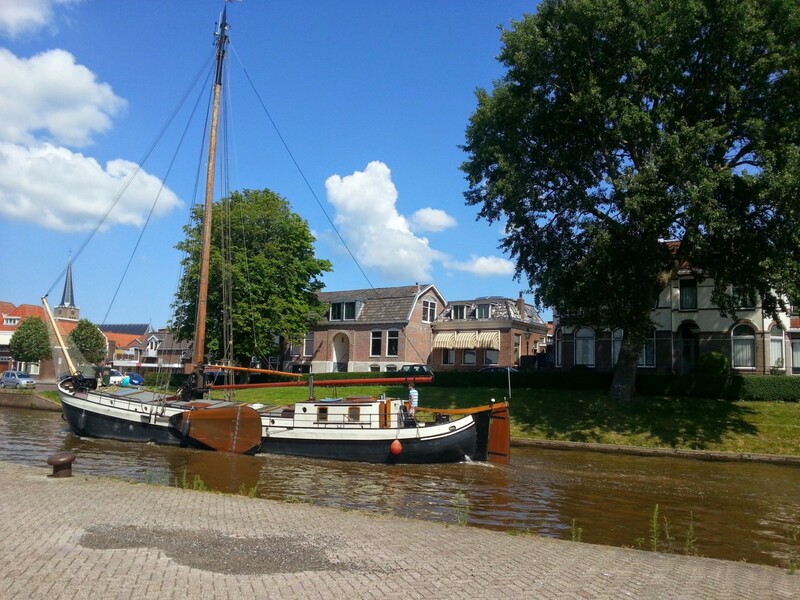 The holiday home is extremely well situated and offers a stunning, unobstructed view of the Van Harinxma Canal, which is lively and full of activity due to the commercial shipping and numerous pleasure yachts that pass through: a pleasure to behold. 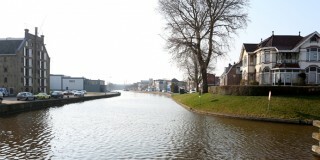 This canal is the main waterway between Friesland’s only harbour: Harlingen in the direction of Leeuwarden. 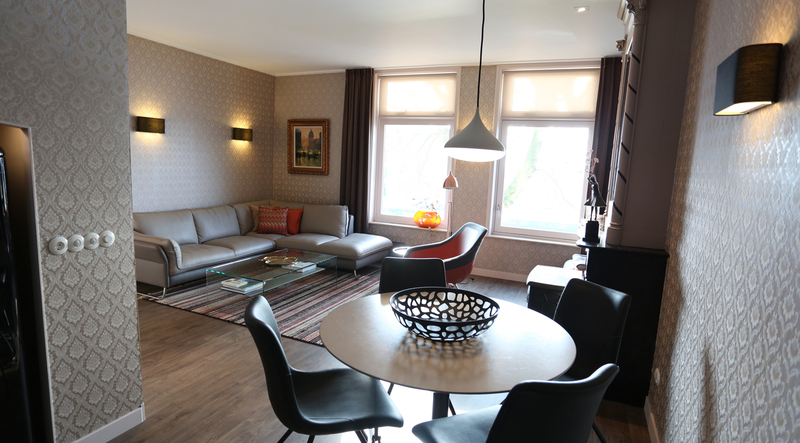 With a few small exceptions, the residences are identical in terms of layout and fittings. 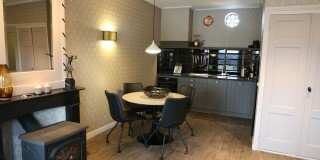 On the first floor, there is a large and tasteful living room with an American kitchen. 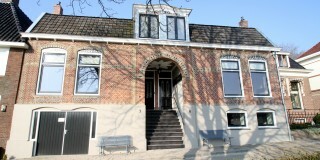 The property has big windows which let in plenty of daylight. Make yourself comfortable in the spacious lounge area with extra footstools. Especially for our British guests we have TV channels from their own country. 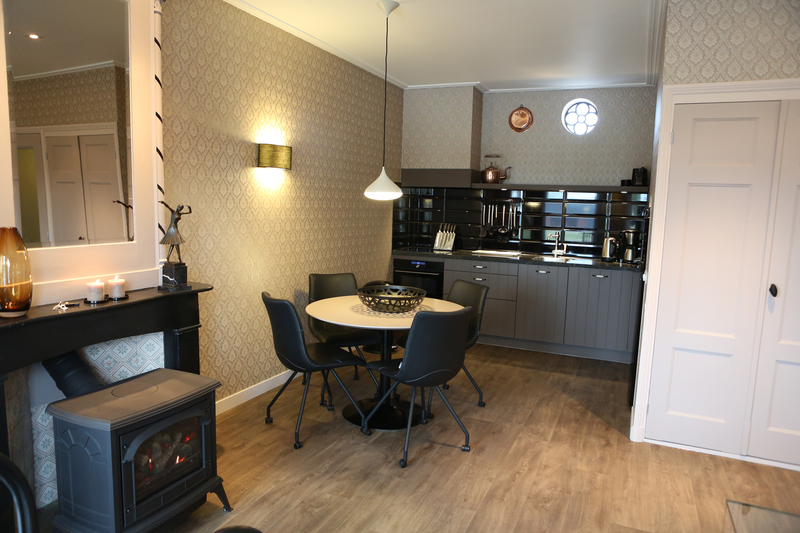 The “retro fireplace” (a new gas hearth which meets all the modern day safety requirements) fits in perfectly with the authentic fireplace and is atmospheric and pleasantly warm, and the welcoming round dining table with comfortable chairs beckons you to sit down and eat together. 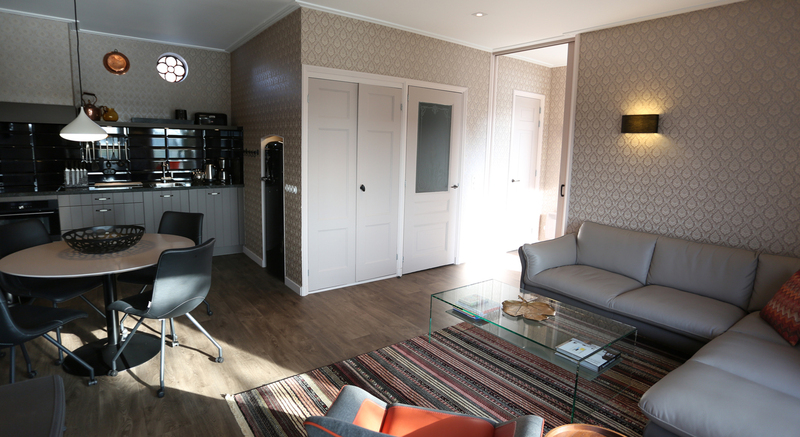 The complete fitted kitchen has everything you require for self-catering purposes and there is ample crockery. 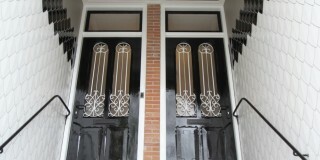 The door with the beautifully etched windows takes you out onto the inner courtyard. 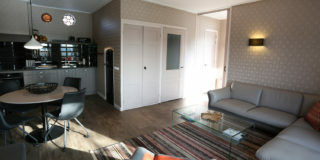 This is where the spacious wardrobe, toilet, and utility room are located. 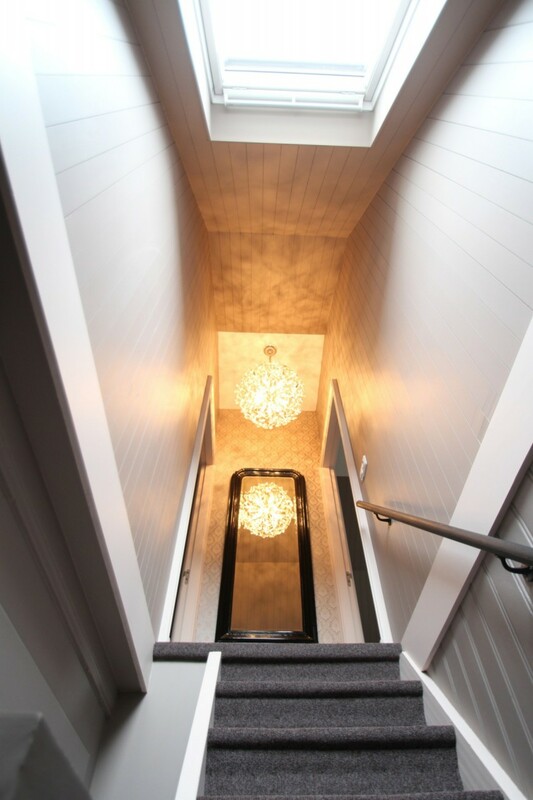 The staircase leads upstairs. 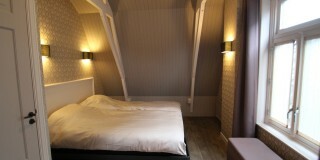 There are two large and characterful bedrooms on this floor. 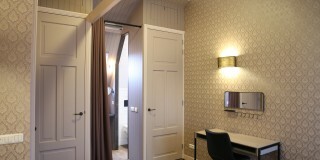 They are contemporary but include some period detail such as the charming panelling and stylish wallpaper. 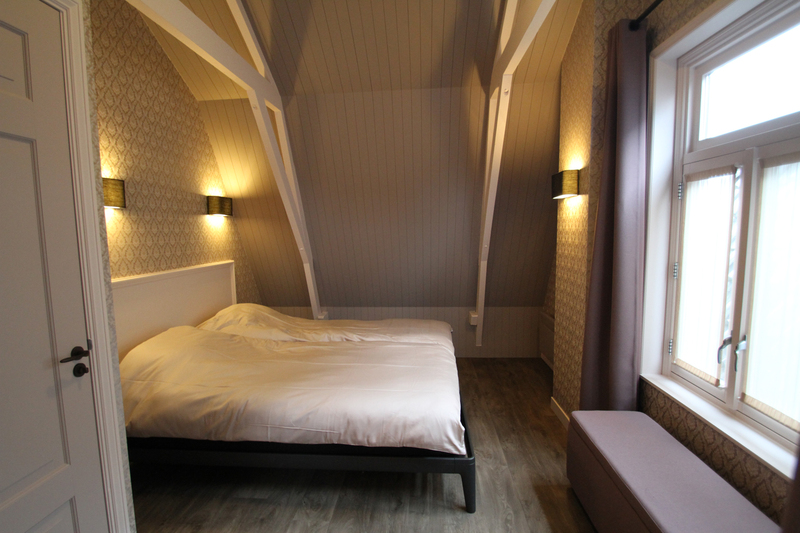 One bedroom has 2 single beds (each measuring 90×210) and the other a king size bed (180X210). 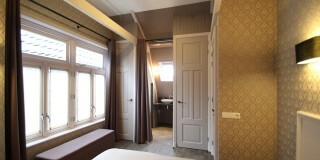 Each bedroom has its own bathroom with shower, toilet, and washbasin. This is why these holiday homes are also perfectly suited to 2 “duos” who want to stay together under the same roof whilst retaining maximum privacy. 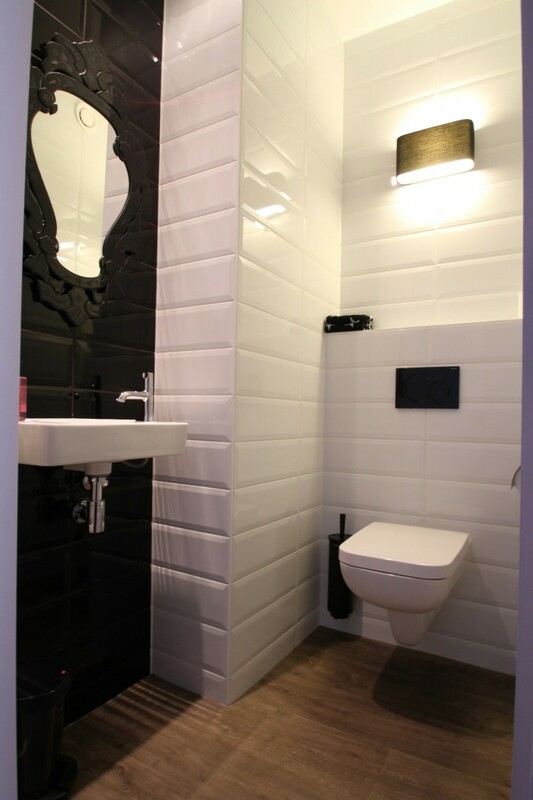 The entire property is fitted out with individually regulated convection heaters and there is an additional infrared-radiator in the bathroom for extra warmth. 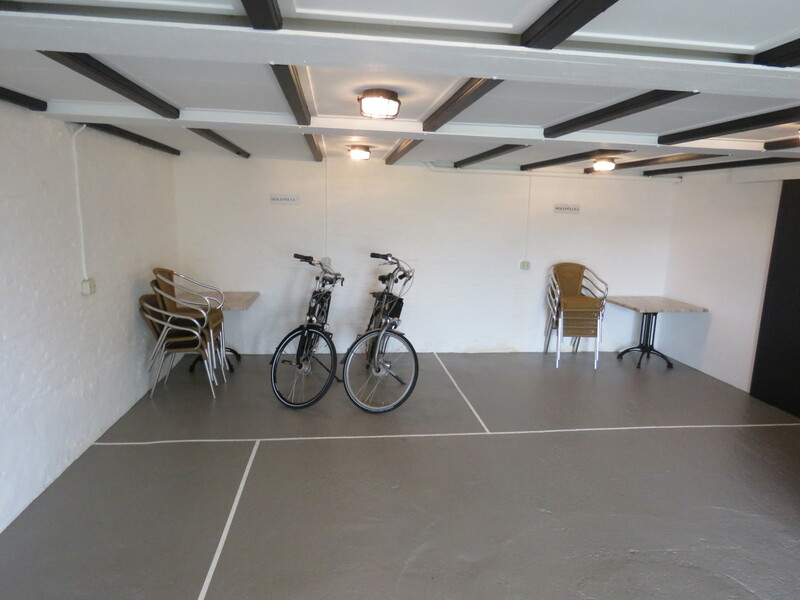 The surroundings of Franeker are the perfect spot for cycling: you can park your (electric) bike in the basement and it is even possible to charge the battery there. Sit outside (garden furniture is provided) or simply relax on the waterfront. 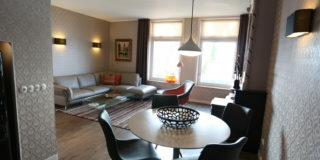 In short, you will feel completely at home is this extremely comfortable and stylish four-person holiday home. 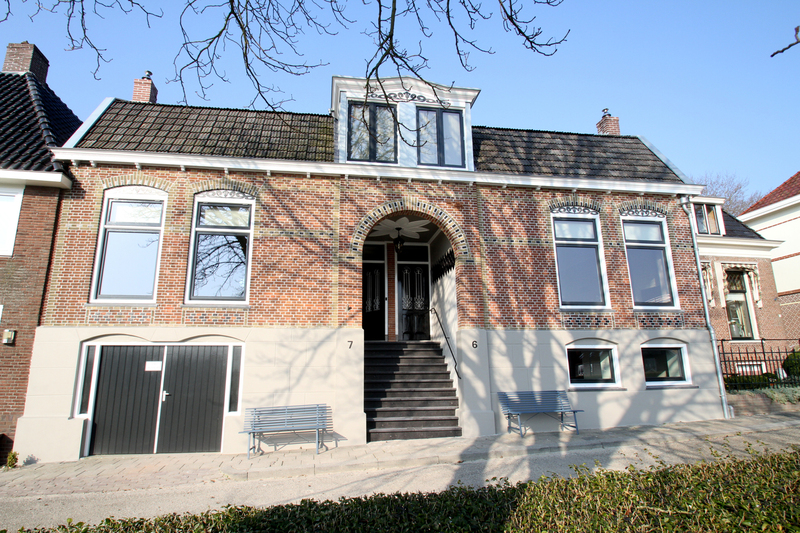 For a larger partyg, rent both residences and there will be room for eight persons. 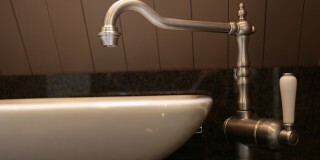 Our prices are all-inclusive; so no hidden booking fees, tourist taxes, or other supplements and cleaning is included. 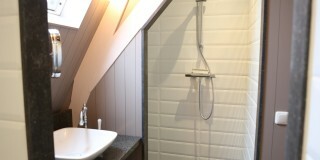 The spacious accommodation is furnished to a very high standard and fitted out with all the latest mod cons. 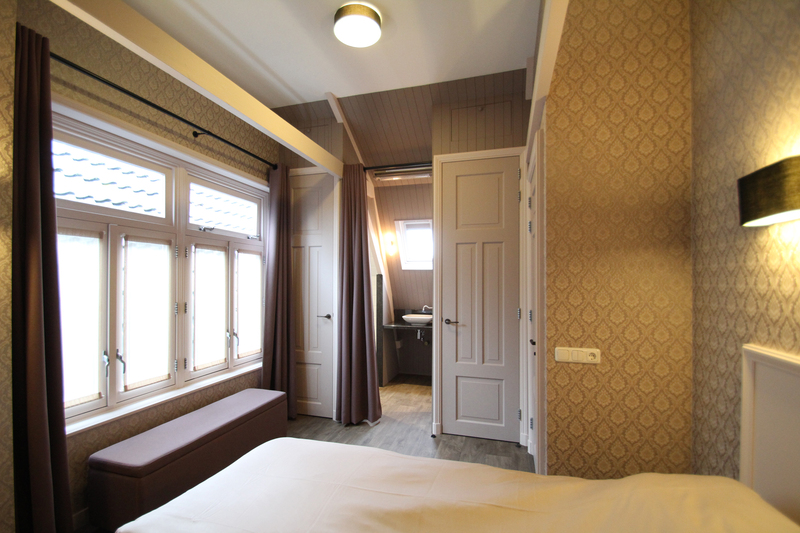 It is equally comfortable if you are planning a stay outside the summer season. 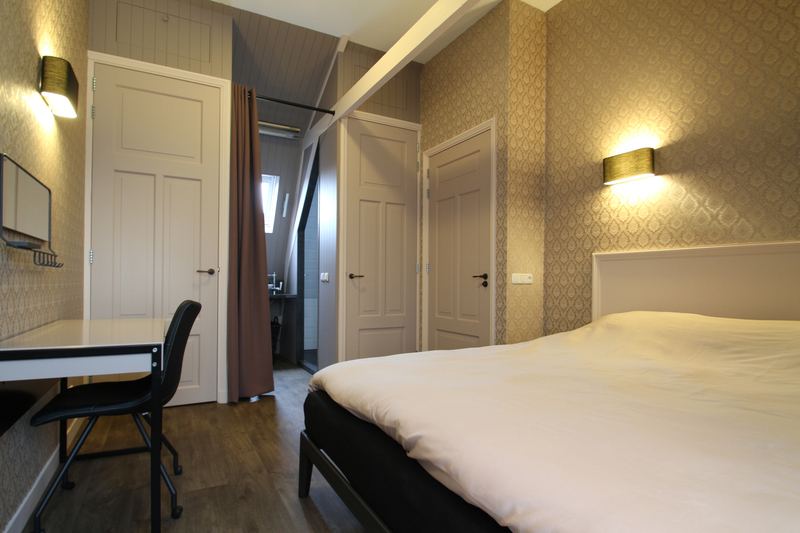 The beds are made up in advance and ample kitchen linen and bath towels are supplied. 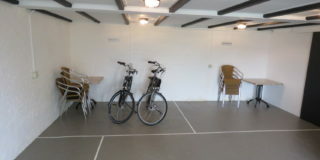 The holiday homes provides spacious accommodation for 4 people. 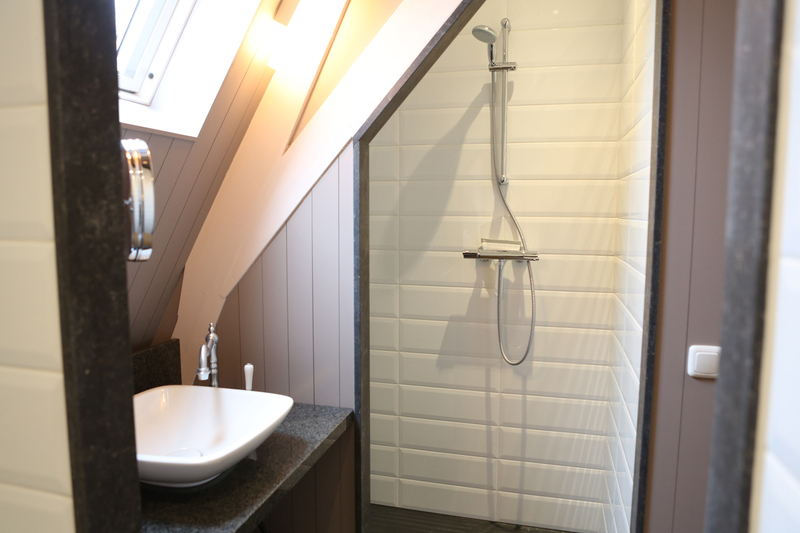 The holiday home is mainly fitted out for adults or older children; it is less suitable for toddlers/young children. We cannot provide cots, etc. The confirmation with more detailed information (key, access, etc.) relating to your reservation will be sent by email once the amount has been paid in full. Between 4 pm and 6 pm it is possible to check in. Depending of our schedule it can be possible to check in earlier than the regular time. If this is possible we will contact you by e-mail to make the arrangement (if it’s wanted). Sometimes it is also possible to leave a bit later then the official check-out time 10 am. Polite reminder: the property is a non-smoking zone and no pets are allowed.